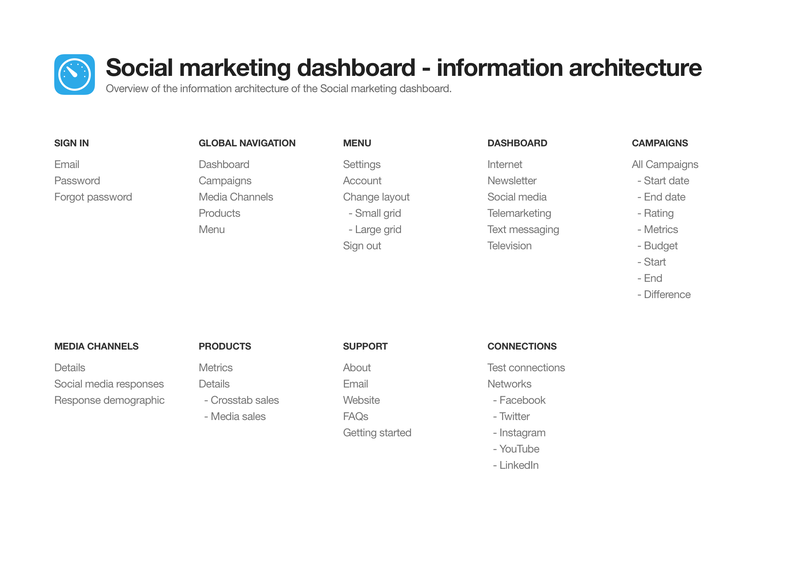 A minimal dashboard for tracking and analysing social and traditional marketing campaigns. 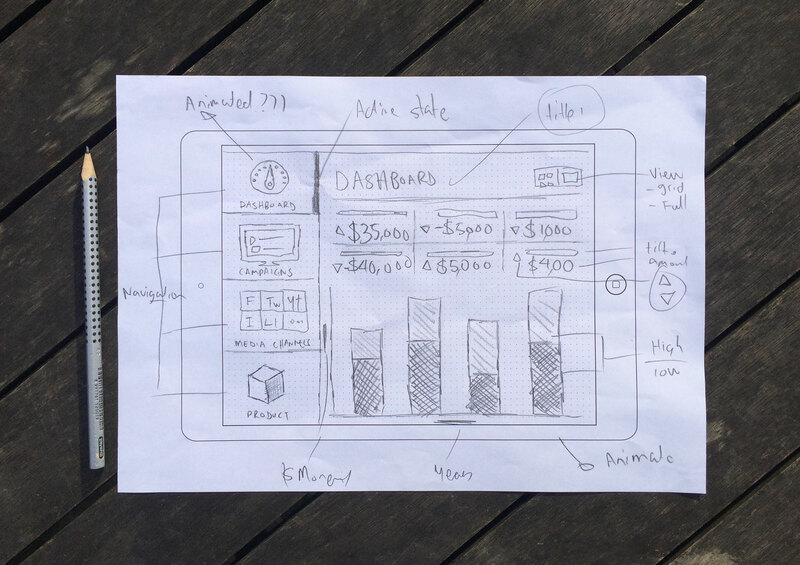 After speaking with the client to better understand their business needs and goals I like to put pencil to paper and sketch out as many ideas as I can come up with. The point isn’t to come up with different concepts and potential approaches to solve the problem. Quantity and speed over quality. 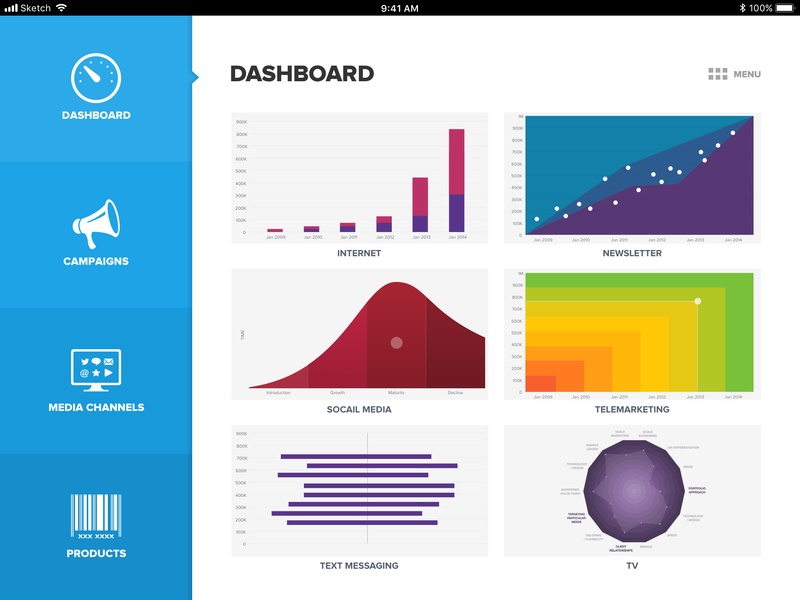 Each graph displays a miniature live preview of actual data behind that marketing campaign. 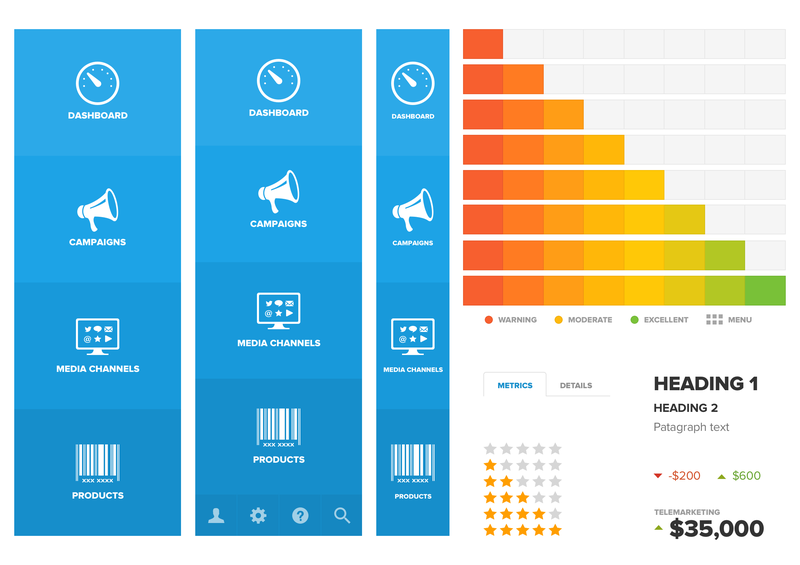 When the user taps the graph thumbnail it takes them to a dedicated page and provides them with more detail and an interactive graph to help them analyse the results. 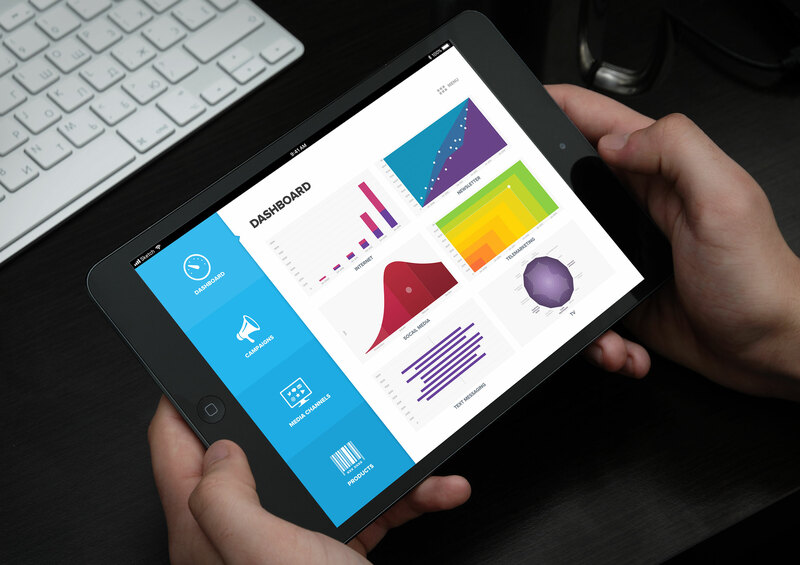 Like most dashboards, how effective they are, comes down to how quickly you can find the necessary information to help you make quick/well-informed decisions. The quick view provides data analytics to allow people to do just this at a high level with the ability to dive deeper if required. 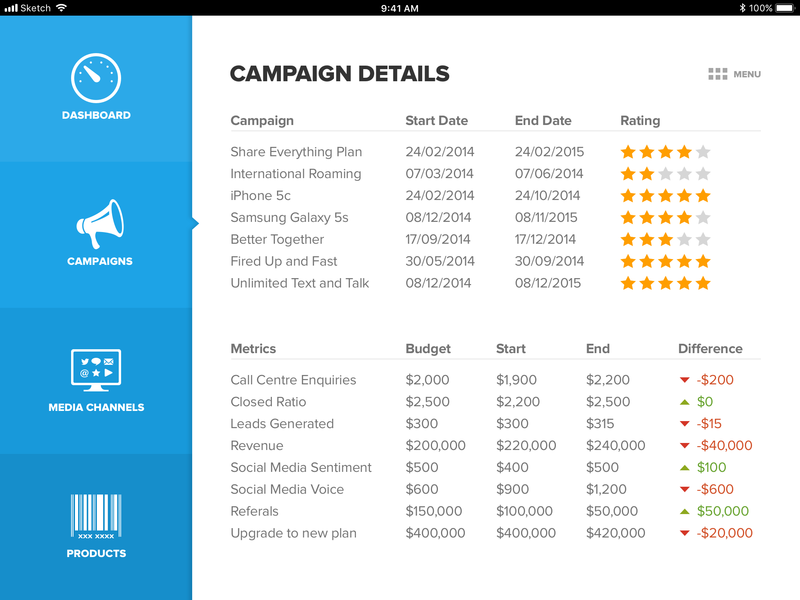 Here you can view all active campaigns and get a feel for how well they’re performing. This simplified view allows you to tap on the campaign you are most interested in to bring up more detailed information about a particular event. 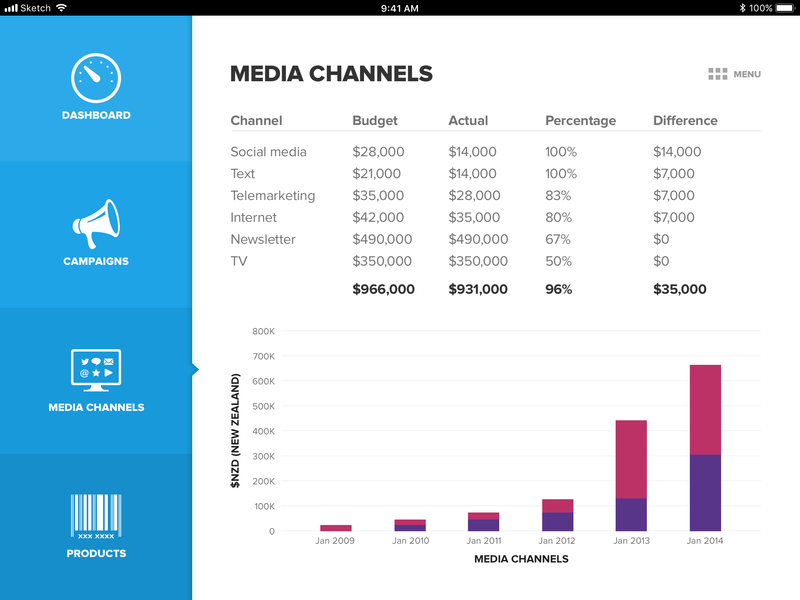 This page provides a breakdown of the various media channels and allows people to track their progress and get feedback on how well they are performing. 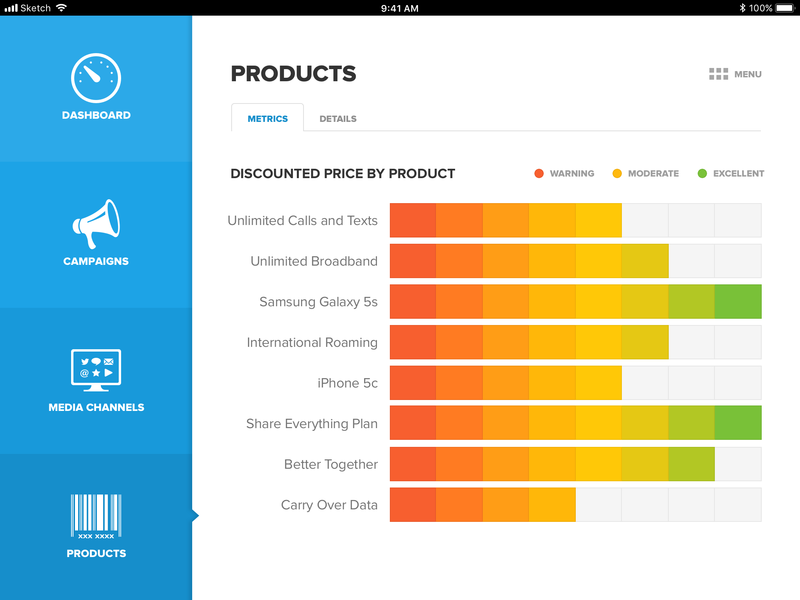 An overview of how well products are tracking after the announcement of price reductions via the 6 main media channels (social media, telemarketing, newsletter, txt, internet and television). 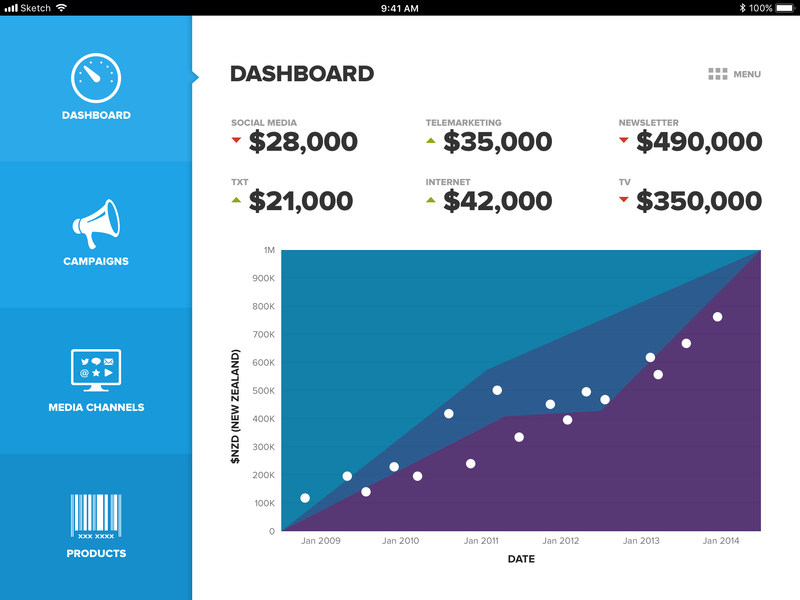 Here are a few of the user interface elements from the dashboard. These are a lot of fun to create and really help to keep a consistent look and feel throughout the product when you can see all the elements side by side.